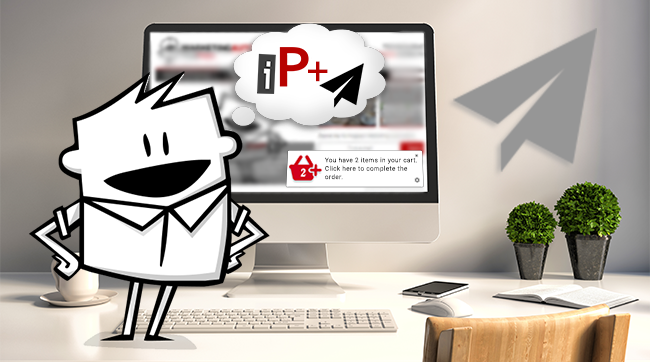 Web push notifications – new marketing channel available in iPresso! Web push notifications are a new digital channel that allows marketers to engage their users in web browsers. They can be displayed to all the visitors who opted-in, even if they are not present on your website at that point of time. Some possible use cases of web pushes include informing subscribers when new content has been published, sending special offers and discount codes and recovering abandoned carts. Web push notifications are small clickable message boxes displayed by web browsers to all users who agreed to receive such communications. They can be used to communicate with users even after they have left the website. This new marketing channel is used for cross-selling and up-selling purposes, recovering abandoned carts and sending personalized offers. Web push notifications can be accessed on all devices – desktop, mobile, tablet, etc. Their look differs in various browsers, but they always consist of a title and a brief content. They may also contain a URL and an image. Web push notifications are a great way of engaging and retaining visitors after they leave a website. Web push notifications may be displayed to customers who abandoned their carts before completing the purchase. If they didn’t buy because something distracted them or there was some kind of error, such a notification will effectively remind them to return and complete the process. Up-selling and cross-selling based on customer’s past purchases is an effective way of increasing sales. If a customer has already made a purchase, the retailer can notify him about additional products or services that may interest him. Website owners can send web push notifications to their visitors to inform them about newly published content. It will allow them to increase traffic and acquire new users. Individualized web push notifications about limited time sales, relevant new products and available discounts may be sent to customers potentially interested in a given category of products, driving them to the website or store to convert. Web push notifications are now available in iPresso Marketing Automation – ipresso.com.